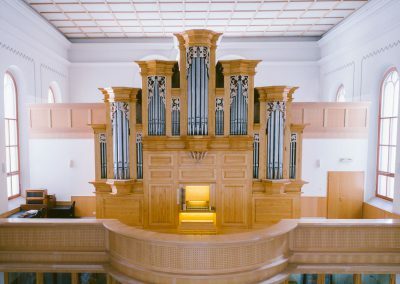 The new organ of the church was built under the inspiration of the most beautiful instruments of the Thüringen organbuilding like masterpieces of Wender, Volckland, Trost and Wiegleb, which instruments were appreciated by J. S. Bach also because of their unique sounding features. 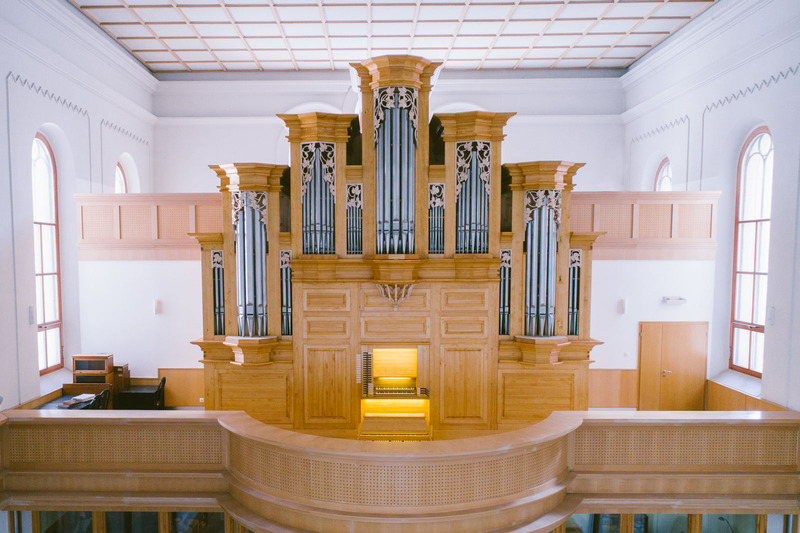 The most important reference was the Wiegleb-organ of Ansbach and also was the Trost-organ of the Stadtkirche Waltershausen. 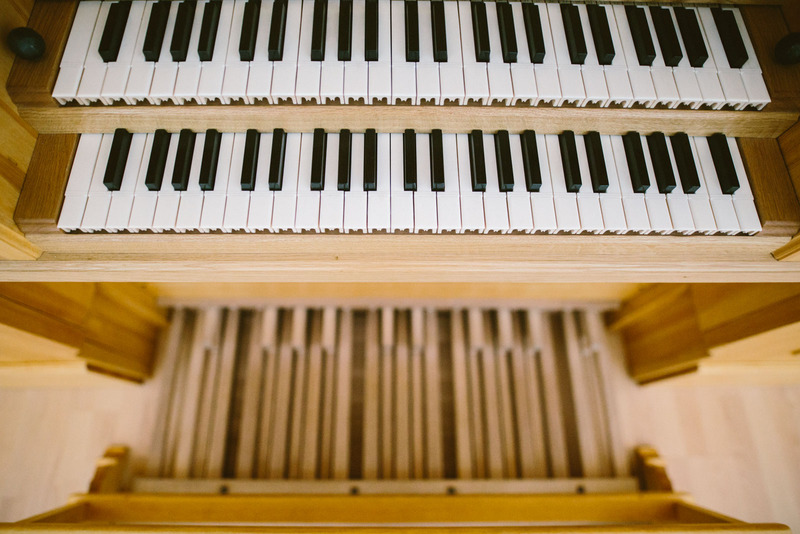 Bach as an organist and organexpert known extensively each German organbuilding streams of his era. 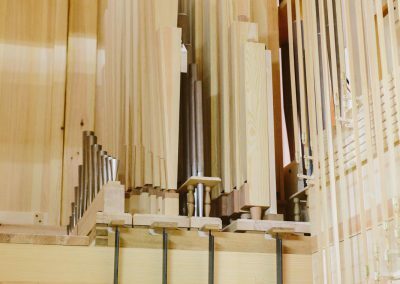 He respected the work of the North-German Arp Schnitger or the Saxon Gottfried Silbermann, yet he sounded his unrivalled masterpieces mostly on the Thüringen organbuilding’s superbs in the course of his life. 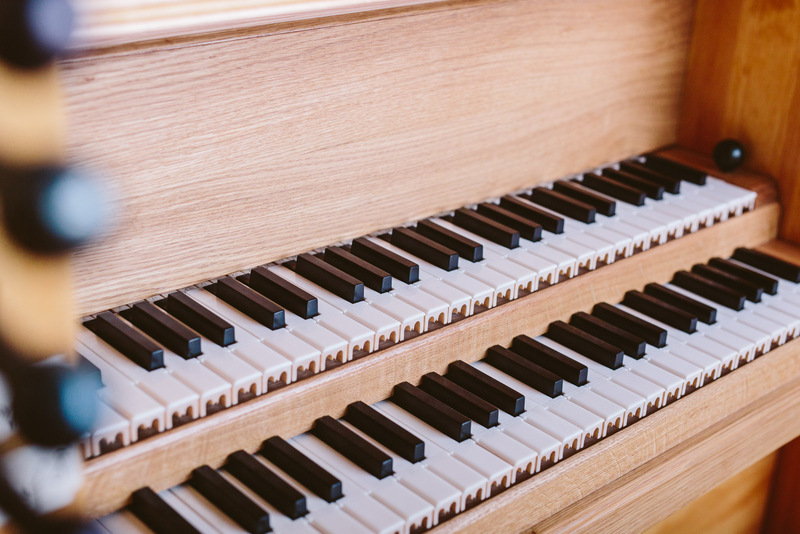 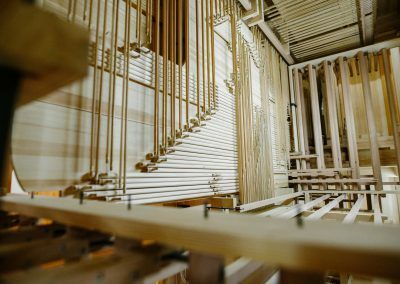 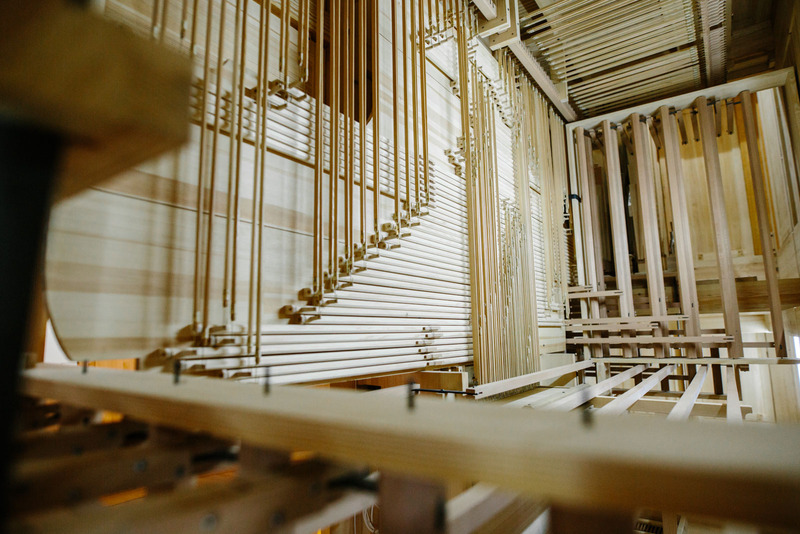 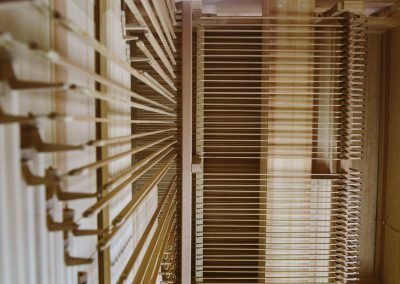 At the construction of our instrument we take into consideration the church’s statical and acoustical features, so the organ integrates an organic whole with the stretch of the church, still visualizes properly the Baroque era. 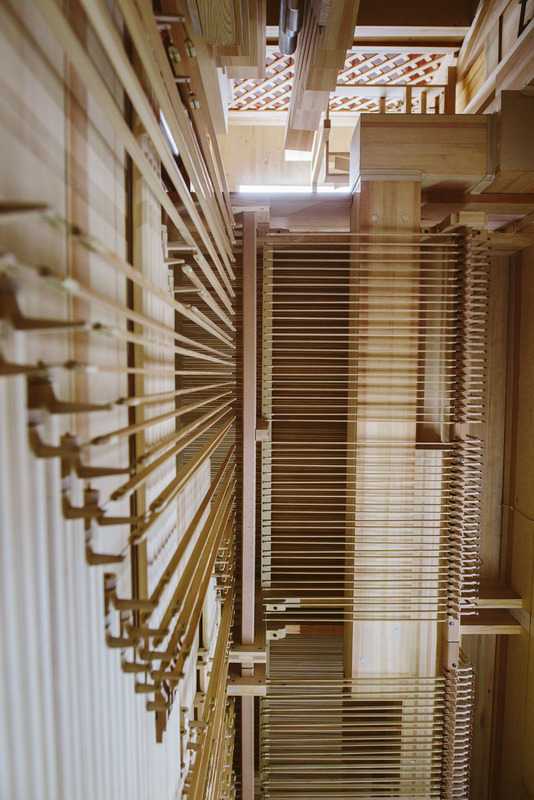 The organ’s wind supplied by 4 one-rised bellows which can be also operated by human force. 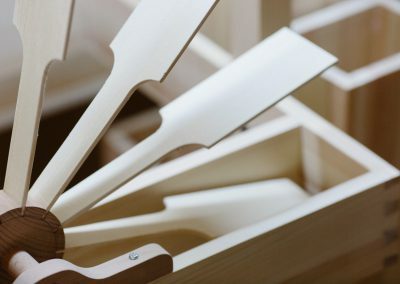 We constructed the wind channels’ and the windchests’ measures based on 18th century patterns so the features of rise bellows shows up in the sounding the best possible. 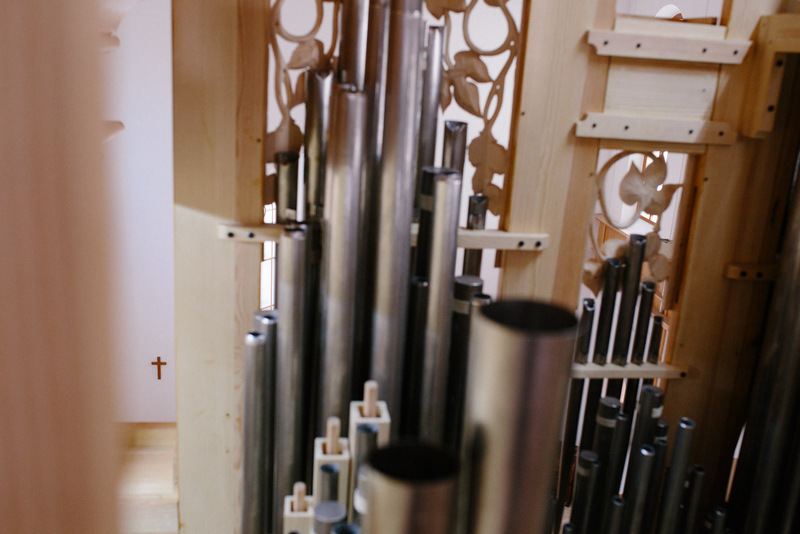 The living wind reacts sensitively to every niceties of historical playing. 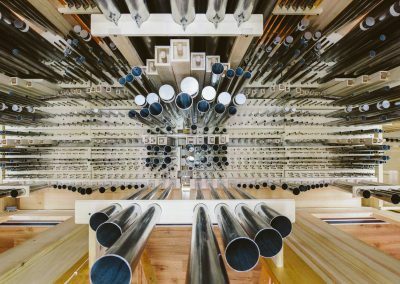 We devised the measures and the constructing and sounding specialities of the pipework was based on 30 original baroque organs studied on our investigating tours. 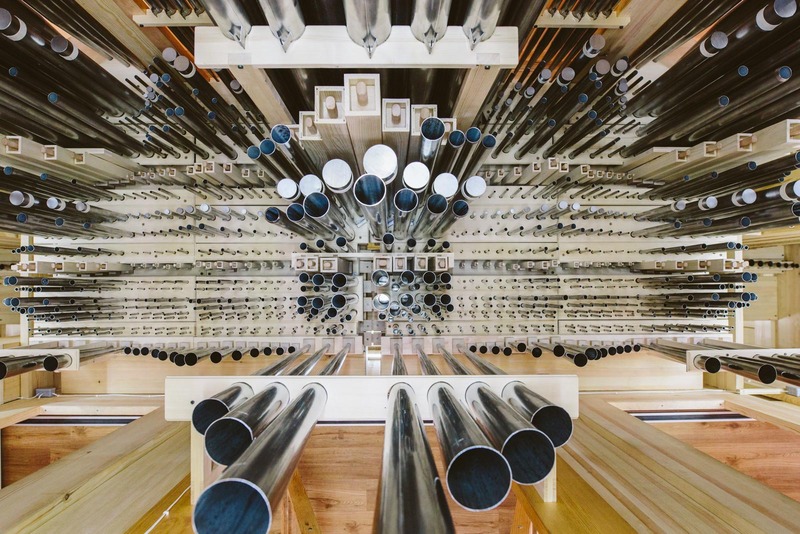 Each 1130 pipes sits in the instrument made after historical analogues and period technologies. 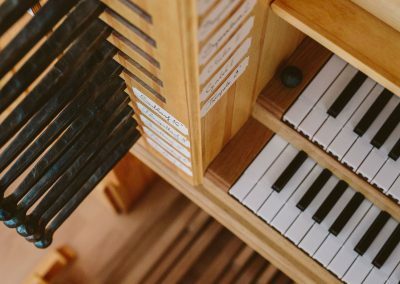 This is the first organ of Budapest which integrates in one instrument the organs’ sounding used and acclaimed by Bach, permits the differentiated touch culture according to the period playing and visualizes in its appearance the 18th century’s instruments. 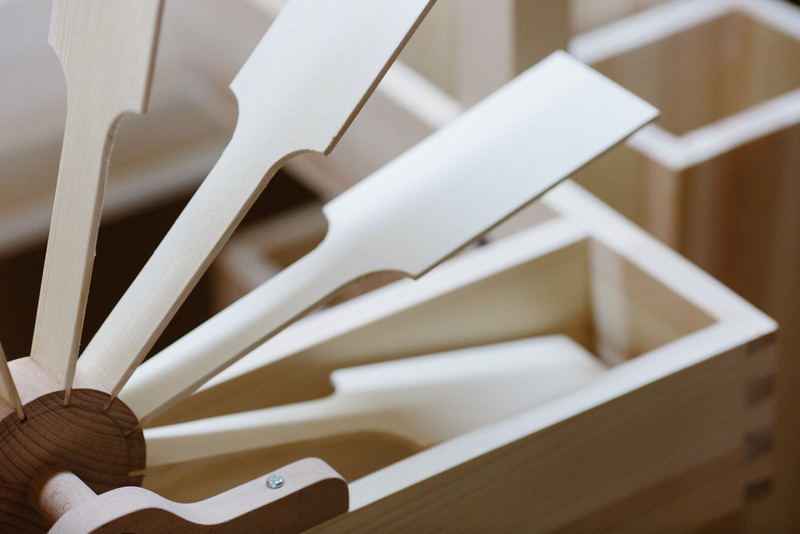 The case was made of well selected scots pine, the flower motifs on the prospect pipes sculpted of linden. 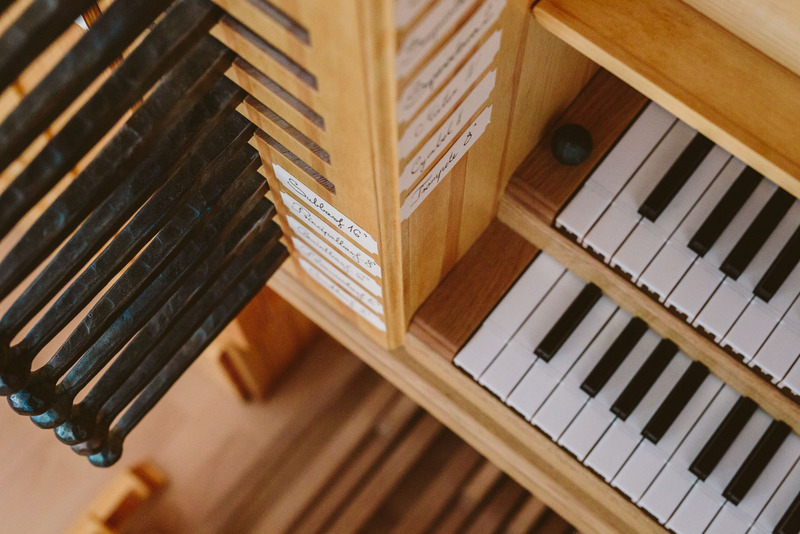 Each parts of the instrument was solely made of natural materials doesn’t contain any modern materials. 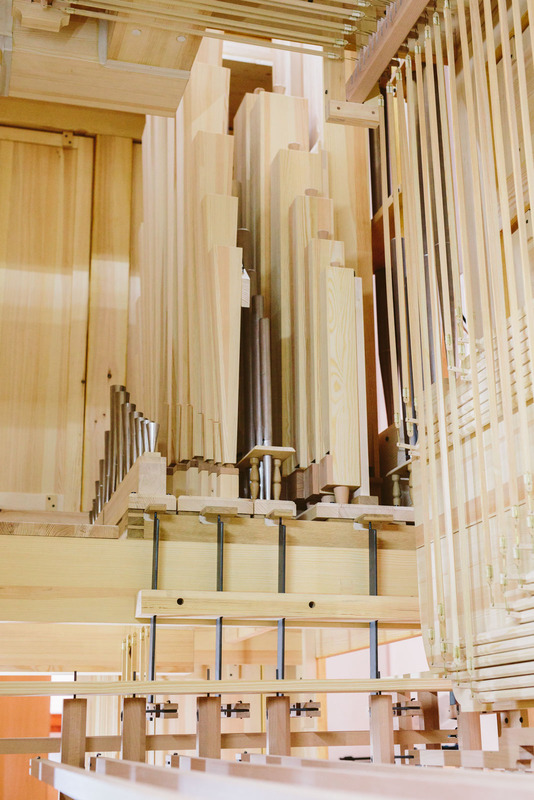 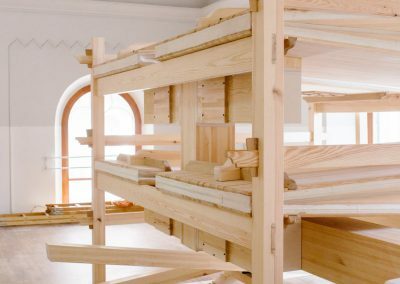 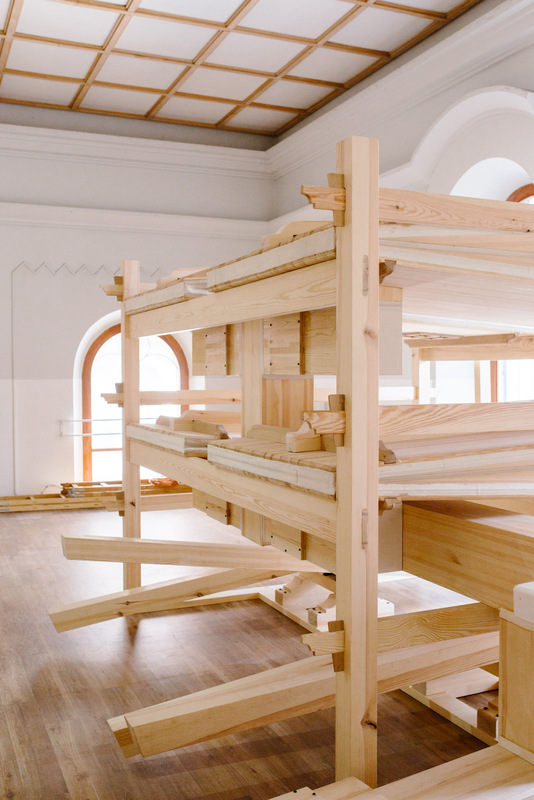 In addition to the natural materials our instrument integrates the organbuilding traditions of Baroque and modern era. 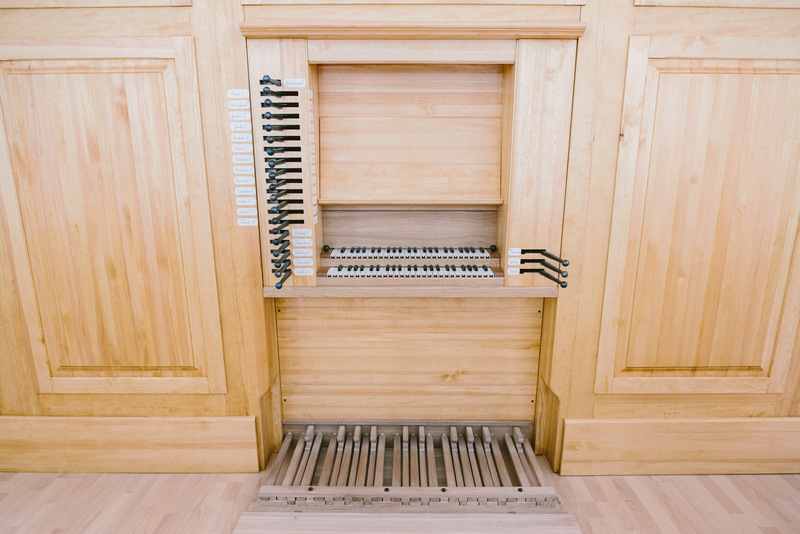 With the solid wood and forged iron parts a new technology has been applied which antecedents strech back to Renessaince organbuilding yet, which only spread in the second half of the 20th century: the slider twin-chest what allows to certain registers to be switched either on the first or on the second manual at will. 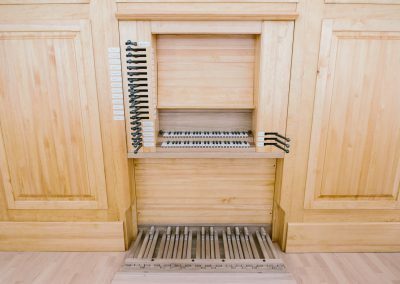 This system multiples the opportunities of the instrument and enables a high artistic creativity. 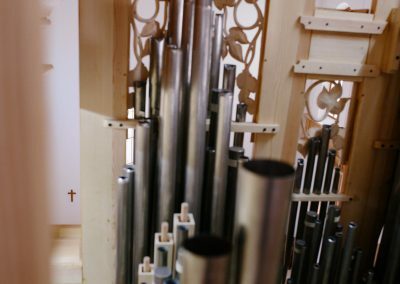 The importance of the instrument well-shown by that intensive interest like before its auguration was in the sphere of inland and outland organists. 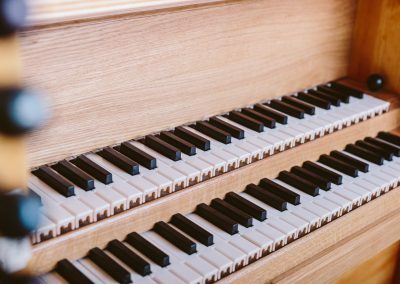 Prestigious organists have came from Germany, Switzerland, Nederland and France and tested the instrument in the Hold street. 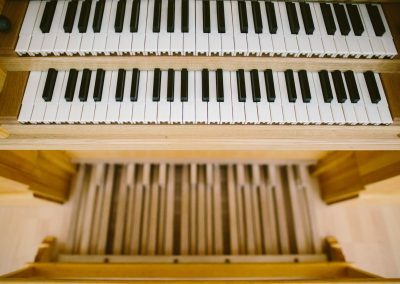 The international profession expressed its congruent recognition and acclaimed the Bach-organ of Budapest of high standard which opens to the future.